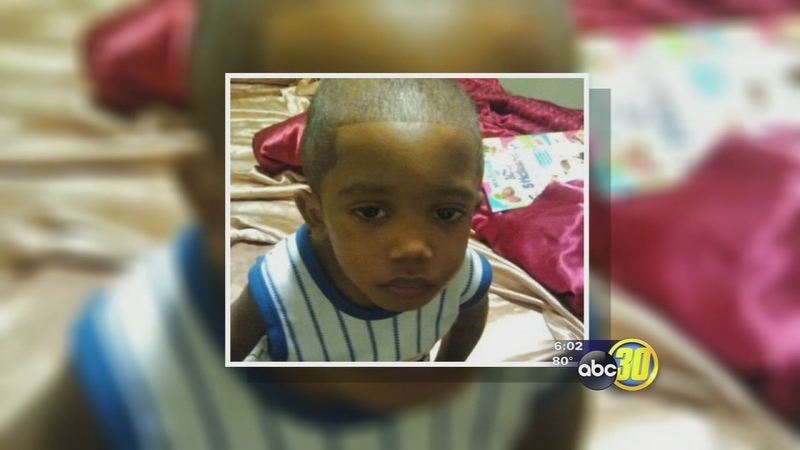 FRESNO, Calif. (KFSN) -- A Fresno father has admitted to the murder of his three-year-old son. His girlfriend was charged with the same crime, but she was released from on jail Tuesday night. Donald Nelson gave the look of a concerned father when police found his three-year-old son Zion dead in the back seat of his car in 2014. Officers say Nelson admitted to spanking the boy for defecating on himself. But Zion's older brother told investigators a more sinister story. The five-year-old had old injuries of his own when they said his dad asked him to lie about the beating he heard. "He heard a whipping sound," said FPDS investigator Ignacio Ruiz. "He heard Zion screaming. And then it stopped." Just the description of the injuries Zion suffered brought Moneesha Camp to tears several times over the last four years. And even with the case now drawing to a close, Camp could barely speak to the judge accepting her guilty plea. "Ms. Camp, your true name is Moneesha Camp?" Judge Don Penner asked her. "Yes," she said, barely audible. Camp was Nelson's girlfriend and served as a mother figure to both of his sons. Prosecutors initially charged her with the same crimes Nelson faced: murder, child abuse, and endangerment. In the end, he admitted to murdering Zion and abusing the older boy. She admitted only to endangering Zion's life. "She was present when Zion was abused by his father and she did not intervene," said her defense attorney, Linden Lindahl. Lindahl says she was too afraid -- for herself and the boys -- to stop the attacks. "In the entire experience I believe she was nearly as much a victim as the boys were," Lindahl said. "The only difference is she, unlike one of them, survived." Nelson faces 19 years to life in prison when the judge punishes him in July. Camp agreed to serve a six-year sentence, but she's already served enough time to get out, so now, she is free to restart her life.